ItemB-07209 - Head of the tramway, Payne Mine, Sandon. ItemB-07210 - "McDonald and McGillvery at work in the rock drilling contest at Sandon, BC.". 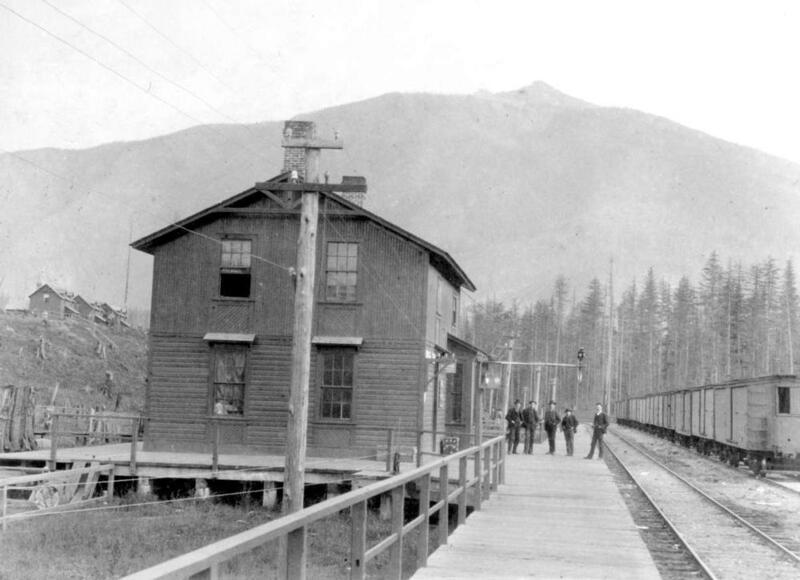 ItemB-07216 - "Station at Revelstoke, CPR ". ItemB-07217 - Fairfield United Church, corner of Moss and Fairfield, Victoria. ItemB-07222 - Workers At Robinson Mill; Revelstoke. ItemB-07226 - Upper Town, Revelstoke. Item B-07216 - "Station at Revelstoke, CPR ".